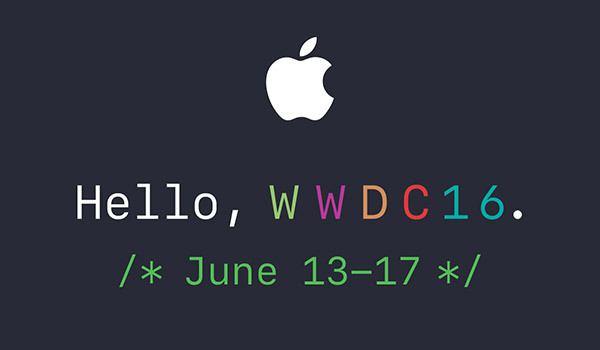 June 13th to June 17th is now the officially confirmed date for WWDC 2016, following on from months of rumors that those exact days would make up Apple’s big annual developer gathering. 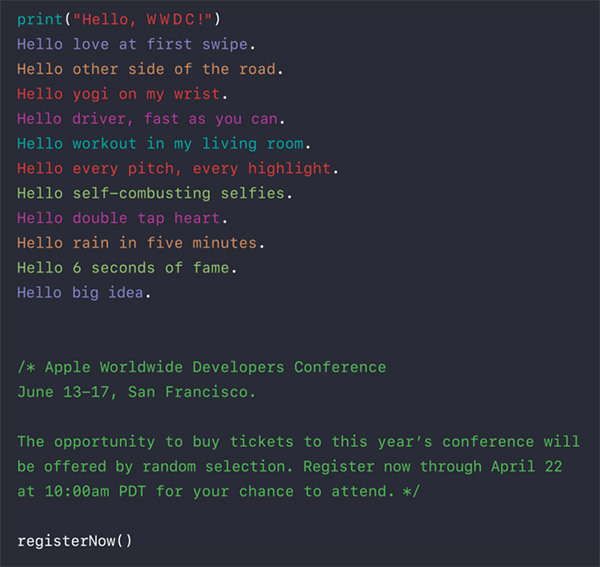 The confirmation, which initially came from Siri followed by a formal announcement by Apple, signals the beginning of what will surely be quite the dash for developers to get their WWDC ticket, hotel accommodation and air tickets booked while they still have a chance. Getting a hotel room around WWDC time is notoriously difficult, though not quite as hard as getting tickets to the event. Registrations for the event are now live through April 22nd at 10:00am PDT, with developers being chosen at random and those winning the lottery being informed on April 25th at 5:00pm PDT. Priced at around $1600, WWDC tickets don’t come cheap. The announced period spans over dates that were leaked out to public for a good few months. Those paying attention had pointed their fingers at that particular week already. Apple itself has now made those dates official, with a snazzy, developer-appropriate announcement page, no less. Though unlike previous years, this year’s WWDC keynote and first day of activities will take place at Bill Graham Civic Auditorium, followed by sessions and labs from day 2 onwards at Moscone West. WWDC 2016 is expected to be a big deal, with iOS 10 almost guaranteed to get its first public outing. Not much is known about the next iteration of Apple’s mobile OS, though we do have a compilation of iOS 10 rumors (linked at the end) that you might want to check out. If both iOS 10 and OS X 10.12 (or MacOS 11) offers the same level of changes, then this WWDC may be the biggest yet, and that’s before we even talk about the possibility of watchOS 3 and Apple Watch upgrade, new tvOS, and new MacBook hardware refresh. WWDC is always a big deal within the Apple community, but all signs point to 2016 being even bigger than normal. We, like Siri, can’t wait to see what Apple has in store for us all. To register now, head to developer.apple.com/wwdc. The event where Apple will introduce outdated devices. Features copied from other ecosystems. And that with a incredible tag line. I will be interested to know what product will you be coming up with. Interesting, sachin and you have same ip address.